DMossEsq: Something for the weekend, Sir? "We wanted to try something new", said GDS four Saturdays ago, 15 February 2014, "sharing the things we've liked over the past week in a blog post". That was followed by links to stories about the National Archives, ways to write clearly, "an unlikely cause for squeaky brakes" and other matters. You get the idea. GDS are proposing a frothy Saturday magazine features series. Nothing too serious. A touch of humour. The emphasis is on good news for a change. Which is fine. Utterly harmless. If you're a frothy Saturday magazine. But they're not. They're the Government Digital Service. This Weekend Links series appears on the GDS blog. And GDS's job is, to quote them, "to be the unequivocal owner of high quality user experience between people and government by being the architect and the engine room of government digital service provision". What are GDS doing, highlighting flood defences, as they did on 22 February 2014? That's not their job. It's DEFRA's job. How do the MOD feel about GDS promoting a DEFRA initiative rather than one of theirs? By 1 March 2014, they'd moved onto the Oscars. They didn't win one. And yesterday, 8 March 2014, they were "celebrating International Women's Day". What's that got to do with GDS? 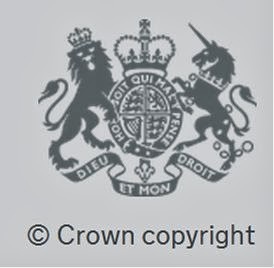 The accompanying paraphernalia of lions, unicorns and crowns means that, on their blog in the GOV.UK domain, GDS speak with the authority of the government. The selection of which things to share with us, the choice of which things they have liked over the past week, becomes official. Political. Religious even – dieu et mon droit. These are editorial decisions. Can you imagine GDS choosing to promote DWP's Removal of Spare Room Subsidy? If not, there's a bias creeping in. And GDS have no business exercising their personal bias at taxpayers' expense. Let them start their own blogs in their own time if that's what they want to do. "Simpler, clearer, faster". That's the motto of GOV.UK and when it comes to Weekend Links – to put it simply, clearly and fast – don't. It's a mistake. Is that a bit puritanical? A bit killjoy? Suppose GDS have something useful to say in their weekend links, something that will add to the education and entertainment of the nation. Then it might be less of a mistake. But they don't. Ms Richards would like to see more women working in technology. Why? Because she would like to see more women working in technology. And last week, Ms Richards shared her thoughts with us on clear technical writing. She wants to ban ampersands (480,000 instances on www.gov.uk). Why? "The reason is that 'and' is easier to read and easier to skim. Some people with lower literacy levels also find ampersands harder to understand ...". The life expectancy of the hyphen is now similarly short. She gives the example "This information relates to 2013-14" and asks: "What does that mean to you?" It would be better to write "tax year 2013 to 2014", she says. That takes us back to GDS's war against the word "submit". We have already noted their attempt to help HMRC by re-writing every occurrence of "submit a VAT return" as "send a VAT return", the latter being shorter and less "formal" than the former. But GDS's style guide is not followed consistently. There are 16,900 occurrences of "submit" on GOV.UK which they don't object to. Ms Richards finishes her thoughts with a question about questions. Specifically FAQs – frequently asked questions. GDS don't approve of FAQs. So they've come up with FAQs without the questions. Which obviously tickles them. "Did it make any difference to your understanding of the page because there’s no actual questions? ", she asks. Because? Despite the fact that? There's? There are? That's an unfortunate sample sentence to be penned by someone intent on telling people how to write English. If GDS want to promote clear English, would they please stop their fashionable talk about "learnings" when they mean "lessons", e.g. "We’ve worked together to co-ordinate research and procurement requirements and to share learnings on commissioned studies". Also, it's Lent, would GDS please give up "behaviours", e.g. "linking this narrative to the explicit development of our behaviours as leaders, managers, partners and as Public Health England itself". As long as GDS continue to talk about "learnings" and "behaviours" they are in no position to advise anyone else about style. They should also learn to embrace the numbered list. They published a paper on privacy some time back and asked for comments. It is easiest to comment on this crucial matter if the paper has numbered paragraphs. They were asked to number them and they agreed to look into the matter. That was in June 2013. Nothing has happened in the nine months since. GDS seem to be more interested in preserving their chosen unnumbered style than in creating an on-line transactional system that preserves privacy. GDS have really got only one job to do and that's to get identity assurance working. Without that, everything they do is pointless. They have failed so far and they should now concentrate all their efforts on IDA. There is no excuse for "the engine room of government digital service provision" to be publishing Weekend Links.